Challenger Mobile’s solution, CMVoIP, is a valuable complement to your users’ conventional mobile subscription. Both existing operators as well as companies that want to offer a new and valuable service to their customers benefit from having more presence in end-users mobile phones in the form of Apps. When partnering with Challenger Mobile, your company does not need to worry about the technology, all technical aspects of your new telephony service are taken care of for you. Instead, you are able to focus on existing and new customers. Launch time is less than six weeks from the time the contract with us is signed. No new SIM card is needed in order to use the CMVoIP service. An application is installed on the mobile phone. In order for your customer to use your branded CMVoIP service a customized software application need to be downloaded to their handset. This is how it works: your customer signs up for the service with you. They receive an SMS message. After a few button touches, the application is installed and the service is ready to be used. That’s how simple the Challenger Mobile service is to set up and start using for your subscribers.The customers also keep their conventional SIM card in the handset. The VoIP account created will have the same number as the regular mobile number of the user, thereby making it possible for the receiver of the call to see who is calling. Mobile calls with CMVoIP make your customer’s life more in control of their spending. This set-up makes it easy to switch between making a conventional mobile phone calls and calls made via your company and your mobile VoIP service. Using Challenger Mobile’s solution, your customer can make calls from anywhere to everywhere. All that is needed is access to a wireless data network, such as Wi-Fi or 3G/LTE, and a handset that supports the Challenger Mobile app. 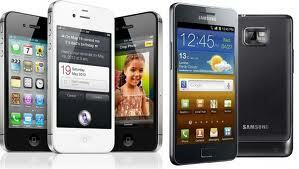 CMVoIP support all major mobile smartphone handsets on the market. As the mobile calls are carried over the Internet, existing operators are able to offer lower rates while roaming than with traditional telephony. This allows for lower prices for the customer – but still with increased margins for your company! For other companies new and interesting revenue possibilities are created. Although mobile handsets are becoming increasingly sophisticated, it is still so that the connection with the nearest mobile mast is crucial to the sound quality of the calls. Even in the middle of a city, the connection can be poor or even non-existent, especially indoors. Using mobile VoIP, your customer makes calls over the internet. Taking advantage of available Wi-Fi networks as well as 3G networks, there is no need to worry about radio silences or the capacity of the traditional base station. Read more about how the mVoIP technology works here.